In our efforts to keep every race safe and fair, there are specific rules we have adopted and in some cases modified to ensure you and your families safety, as well as making the events fair for everyone. 1. Yelling at or using profanities in any way shape or form towards 3D staff or support crew will not be tolerated and will result in automatic disqualification and could result in a suspension from events. 2. Wetsuits will not be allowed in water above 80 degrees. 3. The filming of an athlete on a course will result in a disqualification. 4. Pacing will not be questioned. You cannot follow or be followed by a fellow athlete, friend, or family member at any time on the course by any means. This will be deemed pacing and therefore will result in disqualification. 5. Changing swim/start waves or switching events without informing event management BEFORE an event begins will result in disqualification. 7. Throwing trash on the course at any time before, during, or after will result in a 5:00 time penalty for the first offense and disqualification on the second. Designated trash throwing areas are only at aid station spots and approximately 25m before and after. 8. Failure to comply with emergency vehicles and event management staff during an event will result in automatic disqualification. Emergency vehicles and personnel have the right away at all times and an athlete must give them that right away by doing everything possible to get out of the way. Specific to Multi-Sport events your governing body is USA Triathlons sanctioned event. The rules set forth by the governing body will be adhered to in most cases. However this event is owned and operated by 3 Disciplines therefore we reserve the right as the owner, developer host of the event to add to, modify, or increase enforcement of a rule. The center line violation rule will result in a disqualification! An athlete cannot cross the center line for any reason whatsoever. This is extremely dangerous and could result in serious injury or death, therefore it will not be tolerated. USA Track & Field & RRCA rules will be will be enforced with running specific events. Event management reserves the right to postpone, change format, modify courses, or cancel the event at any time. The safety of athletes, staff, support crew, and officials is our top priority and will never be compromised. Event management is not responsible for late arrivals, athletes not finding a venue, misdirected, or delayed for any reason. Late arrivals will NOT be issued a chip and strap and you will not be allowed in the transition area once it is closed. Again, there will be NO refunds for any reason. Event management reserves the right to cancel an event due to inclement weather or the POTENTIAL of inclement weather. Every attempt will be made to host an event whether in it’s advertised form or altered form. Meaning a triathlon could be modified to a duathlon. A 1500m swim could be made a 500m swim, etc. A half marathon run could be made a 5k run, etc. Under any circumstance a refund or transfer will not be issued. Athletes safety will not be compromised. If an event has mandatory bike check-in, you must check in your bike during the allotted check in times typically the day before. Failure to do so will mean you are not going to race and again no refunds will be given. These rules are in place for a reason and deviation of them is not fair to the hundreds of athletes that follow the rules. 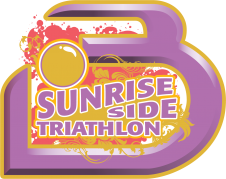 Athletes participating in his/her first \"long course\" event will result in an interview with the onsite race director. His/her experience will be considered in a personal interview with the race director on site if a question of ability to safely finish is at stake. Failure to comply with the race directors decision will result in a disqualification if there is an un-willingness on an athletes part to change events. Safety will NOT be compromised under any circumstances. Kids 17 and under may NOT compete in half ironman distance events. Kids must be 10 yrs. of age to compete in adult sprint events. An un-paid bounced check will mean you will be put on the \"banned\" list. Not a great list to be on if you plan on racing in the future. If you made a mistake with your banking, we understand, but just be sure we are paid after corrections are made. A tshirt is only guaranteed if the athlete registered by the 14 day cut-off for pre-registration.